Usually when I bring dessert to my in-laws, the rule is - no chocolate. My father-in-law doesn't like it. But my mother-in-law likes chocolate, so on Mother's Day, I thought it would be nice to bake a chocolate cake for her. But still ... I didn't want to shortchange my father-in-law in the dessert department. I baked two cakes. Two very small layer cakes. Less than 5 inches in diameter. I decided to use the small round paper bakeware that I wrote about here, and then I went looking for some recipes. I wanted to find recipes that wouldn't make a ton of cake. I mean, there were just going to be four of us, so I didn't want two entire layer cakes worth of cake batter. Since I wasn't sure if I'd find any recipes that made really small batches, my next plan was to look for recipes that would be easy to cut in half. 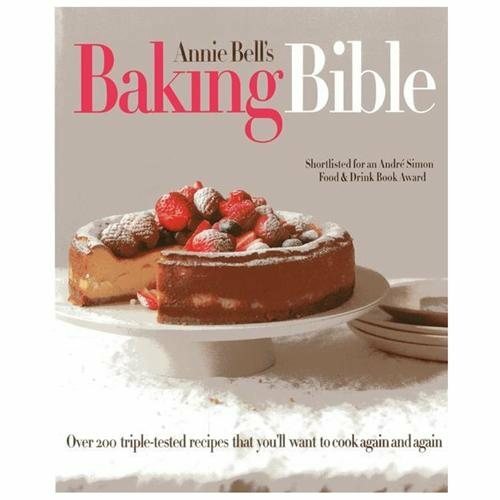 I started paging through Annie Bell's Baking Bible - I mean, seriously, it had to have some kind of cake recipes, right? And then I hit the jackpot - a chocolate cake recipe and a yellow cake recipe intended to make a batch of mini cupcakes. Turns out that each batch was just about right to make three layers for my mini cakes. Heh. The completed cakes were about as tall as they were wide. And really cute. The interesting thing about these recipes is that instead of mixing in the traditional way - or even the non-traditional way - these cakes were mixed in a food processor. I thought that was pretty interesting, and it was a lot easier to dump everything into the food processor and let it spin. Or, that's what I was supposed to do with the yellow cake. The chocolate cake was supposed to have the cocoa mixed with hot water and then cooled, and there was a specific order for mixing everything in the food processor. But, after making the yellow cake by tossing it all in the food processor, I did the same thing with the chocolate cake. Oopsie. The good news was that it worked just fine. As a matter of fact, I liked the chocolate cake a little better than the yellow cake, even after I mixed it wrong. For the frosting, I used a basic buttercream for the yellow cake. After filling the layers with a plain buttercream, I used a green tinted buttercream for the base coat so that any green that peeked through would work as the greenery around flowers. Then I added pink, orange, and white flowers. I used some of the buttercream for decoration on the chocolate cake, but first I use dark chocolate ganache for the filling and a whipped dark chocolate ganache for the crumb coat. I piped some green-tinted frosting in lines to look like vines and plant stems, then I piped some ganache roses onto cake, but I didn't want an all-brown cake, so I followed up with pink, white and orange flowers, just like the ones on the yellow cake. I had cut off the domed tops from the six cake layers, and decided to use them to make another cake. I had a whole lot of ganache left over from what I used for the chocolate cake, so I slathered that between the layers and used it to pipe decorations on the cake. I alternated the yellow and chocolate layers of cake for a more interesting look. There might have been more ganache than cake, but I'm okay with that. Have mini muffin cups or other baking cups standing by. This should make 18 mini cupcakes; I made three 4 1/2 -inch round cakes. Combine all ingredients in the bowl of your food processor fitted with the metal blade and process until combined and smooth. Pour into the baking cups/pans you've decided to use. Bake at 350 degrees until the tops of the cakes bounce back when touched lightly on top and a toothpick inserted in the center of the cakes comes out clean. This should take as little as 17 minutes for the mini cupcakes; my larger cakes took about 30 minutes. Remove the cakes from the oven and let them cool completely on a rack. Note: the ingredients listed above are from the cookbook, but the instructions are the ones I followed rather than the instructions from the book which called for mixing the cocoa with hot water and letting it cool. Then the butter and sugar would have been creamed in the food processor, followed by the egg, dry ingredients, and cooled cocoa mixture. 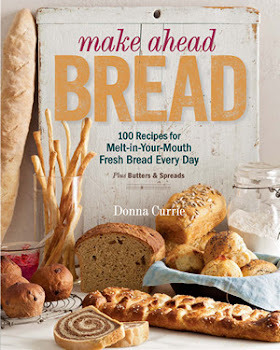 This is not a sponsored post; this is my personal cookbook, not received from the publisher.